The RoofStar guarantee is the most comprehensive roofing and waterproofing guarantee available in British Columbia. 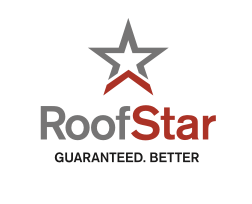 Available exclusively through RCABC roofing contractor members, the RoofStar guarantee provides building owners with the assurance that quality materials will be installed to specific, industry-leading standards by professional roofing contractors. The RoofStar guarantee was built on high standards, accepted materials and the requirement for inspection of the roofing application by independent inspection firms. The RoofStar guarantee is backed by both the contractor and the RCABC Guarantee Corp, ensuring a true, third party guarantee. As an added protection to building owners, a RoofStar guarantee ensures that if, during the term of the guarantee, the roofing contractor is no longer active in business, RCABC Guarantee Corp. will assume full responsibility for the guarantee term as specified on the guarantee certificate. Ultimately, the best guarantee is the one you never have to use. Call RCABC in the early stages of your design – we can help!